This year for International Dot Day, St. Martin’s 2nd Graders created a dot to illustrate how they plan to make their mark on the world in the future. 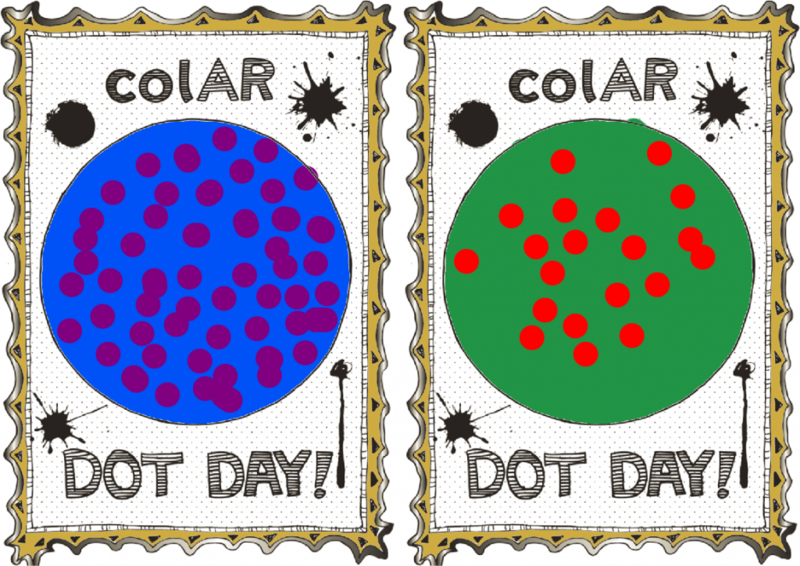 They created their dots in Tux Paint using the template from the Quiver 3D Coloring App. When they were done, Mrs. Sedgwick cropped out just their dot and the 2nd graders added these to a Google Slide and then wrote some information about their dot and making their mark on the world. This post reminds me that we still need to look at our dots in the Quiver app! It’s typical that things always take longer than expected in the Computer Lab. Take absent students, students learning to log-in to Google Apps, students learning to use the mouse, and more and you have delays in getting things done. The What’s Best About St. Martin’s presentation is no exception. It’s been a lot of fun watching students work on their slide. Their reactions when they realize that they can see where their classmates are working have been priceless. Here’s a sneak peek at a few of the slides. Fingers crossed that this will be finished this coming week! 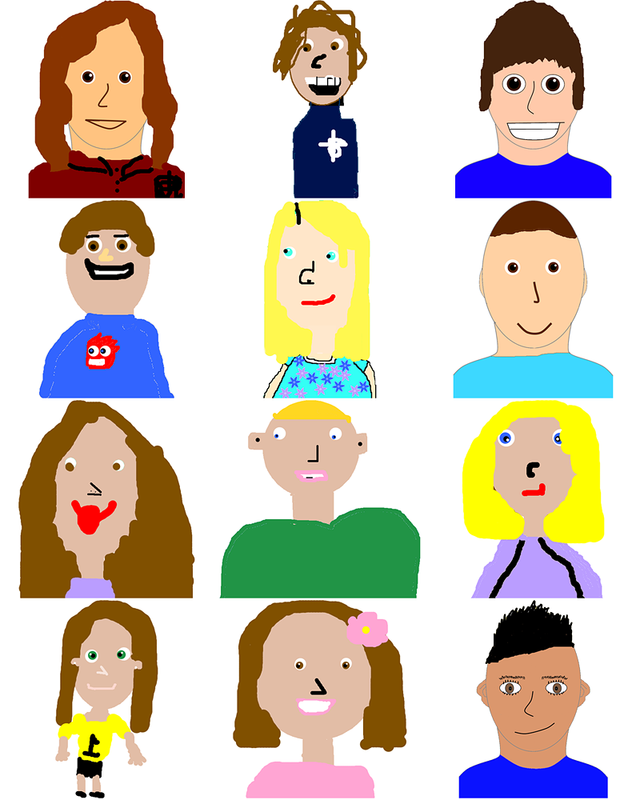 Each year, one of the very first projects that all K-8 students complete is drawing a self-portrait. It is really fun to track their progress and see what amazing artists they become as the years go by. Kindergarten hasn’t started this yet because they’re still practicing mouse skills and are learning to use the Tux Paint tools with an International Dot Day picture. Kindergarten through 3rd grade use Tux Paint to draw their portraits while 4th through 8th grades use a more sophisticated graphics program, Paint.NET, that allows for layers and other more advanced graphics editing. Here are a few samples from 1st grade, 2nd grade, 3rd grade, 7th grade and 8th grade. Other students are still working on their portraits and we’ll be sharing all of them in a fun slideshow once they’re completed! Here’s what Kindergarten has started for International Dot Day. Using the mouse is still very new to most of them and they just used Tux Paint for the very first time today! Once their Dot Day pictures are created, they’ll start on their self-portraits! 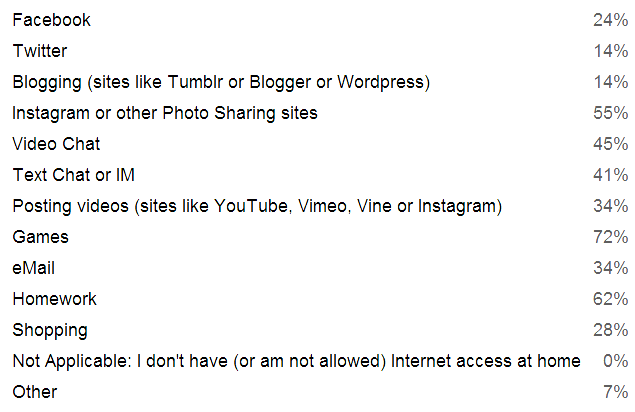 These will be showing up on Class Blogs and student Google Sites in a few weeks! Dots will be shared once they’re all done! The results of this year’s Technology Survey of St. Martin’s 4th-8th grade students are in! All but one of our 4th-8th graders has a computer they can use to complete homework but five students don’t have printers if they need to print their work. Even the one student that doesn’t have access to a computer for homework does have access to other electronic devices with Internet access. Here’s a recap of the results! What Electronic Devices do you OWN? What Electronic Devices do other members of your family own that you can use? What Gaming Systems do you or other members of your family own that you use? Cell Phones – 59% of our 4th-8th Graders own a cell phone; 28% of them have data plans and another 31% use their phones to access the Internet via WiFi. How much do they text using phones & other devices that allow texting like the iPod Touch? Other is mainly watching but not posting videos. What do you think of these results? Did any of them surprise you? We’re planning a parent night to discuss responsible Internet use later this year. Let me know if you would like to attend.